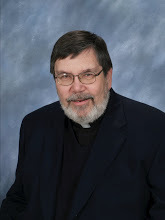 I was ordained a Catholic priest for the Roman Catholic Diocese of Greensburg in 1973 and am recently retired after serving as pastor of Saint Elizabeth Ann Seton Parish. The purpose of this blog is to simply “share my thoughts along the journey”. These reflections may be scriptural, spiritual theological or social, touching upon parish life and the greater reality that those experiences reflect.